Here we are once again for SoftPencil Tuesday. 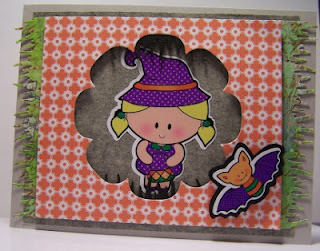 Today I am featuring my very last 2 Halloween stickers from the Tinytwinies. These vinyl stickers have been so much fun to play with. But if you go back to any of my 27 SoftPencil posts you'll see that both the stickers and the digital images can provide hours of fun creative crafting ideas. I am looking forward to the upcoming weeks as we will soon be featuring new products and some new Christmas items as well! So keep your eyes peeled!! !